You are not logged in, please LOG IN or REGISTER for access to briefings and sending IGC files. LATEST NEWS: Kiwi Race 2009 is now a piece of history. Winners are: 1st Martin Kožár (MK1), 2nd András Balogh (66) and 3rd Jan Michálek (Y77). Thanks to all pilots for joining us and big congratulation goes to winners! 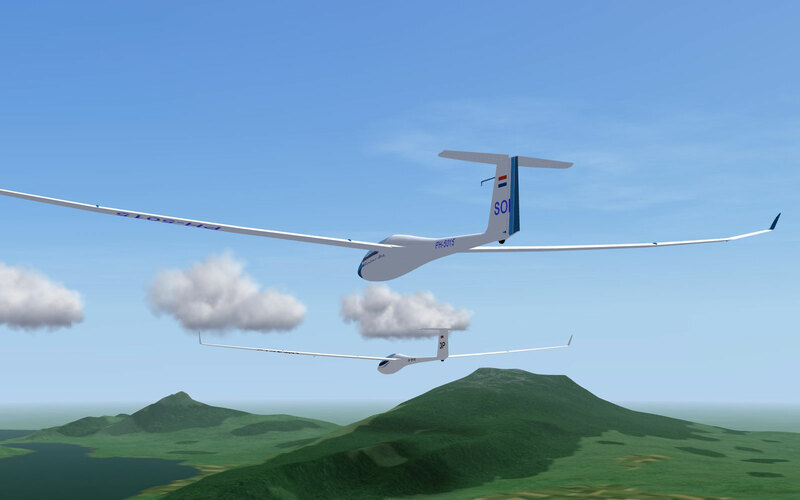 Welcome to the website of another virtual soaring competition at virtualsoaring.eu. We have prepared special contest - refly of real competition. 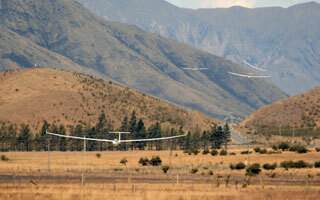 In year 2007 2nd FAI World GP Gliding Champion has been in Omarama, New Zealand. We prepared for you same races as these world top glider pilots joined. GP contest has special scoring system, all tasks will be regattas, so be quick on task start! Attention: choose carefully glider type in registration - with registered glider type you have to fly all task! More info at competition rules. This competition is continued line of successful competitions like Christmas Minicup, Raven Competition, Praděd Gliding and Liberec Eighteens. It's small competition with five racing days for 15m class. Please - give your attention to rules! Will be need registration, server password will be published in briefing. After all flights IGC file must uploaded to this website. Scenery & tasks: New Zealand 0.8, tasks with PDA allowed, every task is REGATTA!